How the Use of the OTvest™ can Help Treat Insomnia and Other Sleep Disorders! 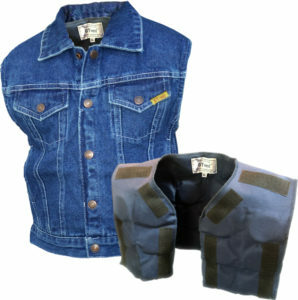 The OTvest™ denim weighted vest can be used as a treatment for anxiety, stress, and insomnia due to the calming effects of the deep pressure applied to the upper body from the weighted vest. The OTvest™ is a simple, non-invasive, natural intervention for those looking for relief from insomnia, anxiety, and other stressful conditions that can prevent a good night’s sleep! Think of someone pressing gently but firmly down on your upper back and shoulders. It feels good, and has a wonderfully calming effect. When we see others that are anxious or overstimulated, we instinctively do this motion, perhaps even encouraging them to “calm down” as we do so. This soothing, deep pressure is similar to what the weighted OTvest™ provides the wearer through the patented weight insert hidden inside. By wearing the OTvest™, the calming, deep pressure can be administered throughout the day, discreetly, and inexpensively, without the help of another individual. Persons putting the OTvest™ on for the first time almost always spontaneously say, "It feels good!" Newborn infants are swaddled to help keep them calm and promote better sleep. The lead x-ray vest at the dentist office feels calming when it is laid on our body. It is often easier to go to sleep with a heavy blanket on us than a light sheet. These examples demonstrate exactly how wearing the OTvest™ prior to going to bed can be used to help naturally treat insomnia. The OTvest™ helps us feel calm and get ready for a more restful night’s sleep because of the deep pressure therapy administered by the weighted vest. Wearers of the OTvest™ weighted vest have reported an improved night’s sleep when wearing the OTvest™ prior to bedtime, and often find that they no longer need medication to promote a good night’s sleep. Many physicians are recommending the OTvest™ to patients to naturally treat their insomnia, without needing to administer additional medication. 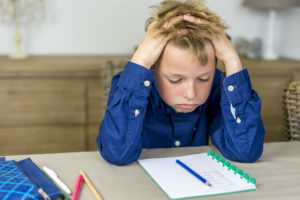 Sleep deprivation in children can often be mistaken for ADHD, as children can get more "wound up" when they lack sleep. Turning off the TV, electronic devices, and video games for one hour before bedtime, as well as wearing the OTvest™ for 30-60 minutes prior to getting into bed can help promote a good night's sleep. Using the OTvest™ weighted vest prior to getting a good night’s sleep can help increase attention during the day, and symptoms of ADHD can improve. Unlike other weighted vests, weighted blankets, or compression vests on the market, the OTvest™ can provide deep, sustained pressure using less weight than other weighted vests. This is because the OTvest™ contains dense, steel plates, compared to the bulky sand or pellets found in other weighted vests. Not only this, but the placement of the weight is sitting directly upon the body -- not hanging loosely in pockets as is the case in other weighted vests. This sustained deep pressure can create a sense of well-being, increasing focus and function, and promotes better sleep by soothing the wearer. 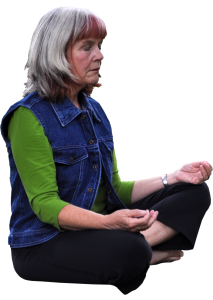 In many cases, this helps decrease the accompanying anxiety that the lack of feeling “grounded” produces. This sustained deep pressure can create a sense of well-being, increasing focus and function, promoting better sleep, and decreasing anxiety, stress and agitation. Grandin, T. (1992). Calming effects of deep touch pressure in patients with autistic disorder, college students, and animals, Journal of Child and Adolescent Psychopharmacology, Vol. 2, 1.